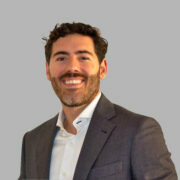 Javier Hijas leads the Team of Cloud Security experts in EMEA at Check Point Software Technologies. This team in charge of helping EMEA organizations migrating and implementing data centers based on private and public cloud platforms in a secure way. He is also acting as an evangelist in a number of cloud forums and events. He joined Check Point in 2007 as a Security Engineer in Spain and few years after he moved as a European Engineer assisting on different start-ups inside Check Point Europe. He holds a BSc in Computer Siences and a studies in Economics.